Every so often the IRS solicits comments on its various forms. This is an excellent opportunity for payroll professionals to get their two cents in on the forms they must deal with on a regular or sometimes irregular basis. This time, the IRS is soliciting comments concerning Forms 941 (Employer’s Quarterly Federal Tax Return), 941-PR (Planilla Para La Declaracion Trimestral Del Patrono-LaContribucion Federal Al Seguro Social Y Al Seguro Medicare), 941-SS (Employer’s Quarterly Federal Tax Return-American Samoa, Guam, the Commonwealth of the Northern Maria na Islands, and the U.S. Virgin Islands), 941-X, Adjusted Employer’s Quarterly Federal Tax Return or Claim for Refund, 941-X(PR), Ajuste a la Declaracion Federal Trimestral del Patrono o Reclamacion de Reembolso, Schedule R, Allocation Schedule for Aggregated Form 941 Filers, Schedule B (Form 941) (Employer’s Record of Federal Tax Liability), Schedule B (Form 941-PR) (Registro Suplementario De La Obligacion Contributiva Federal Del Patrono), and Form 8974 Qualified Small Business Payroll Tax Credit for Increasing Research Activities. What about the Form 941 or any of the series do you find difficult, needs better explanations, could be revamped or should just be left as is? Now is the time to speak up. Written comments should be received on or before July 7, 2017 to be assured of consideration, and should be directed to Laurie Brimmer, Internal Revenue Service, room 6526, 1111 Constitution Avenue NW., Washington, DC 20224. Requests for additional information or copies of the form and instructions should be directed to Ralph Terry, at Internal Revenue Service, room 6526, 1111 Constitution Avenue NW., Washington, DC 20224, or through the internet at Ralph.M.Terry@irs.gov. 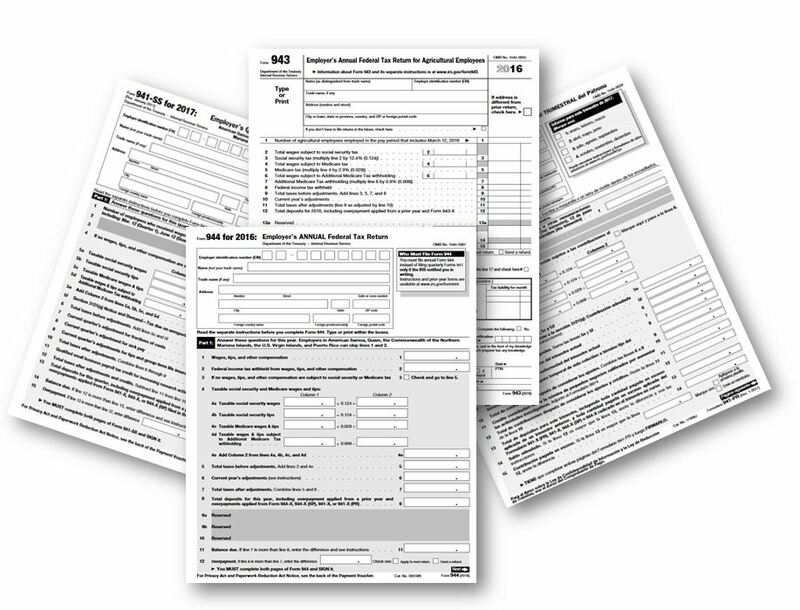 Keep track of all the latest changes to IRS forms by subscribing to Payroll 24/7 today!